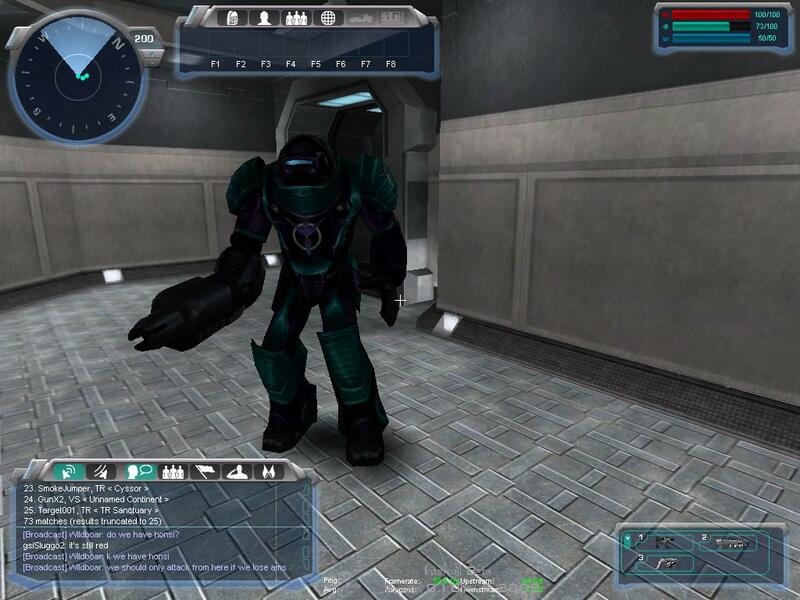 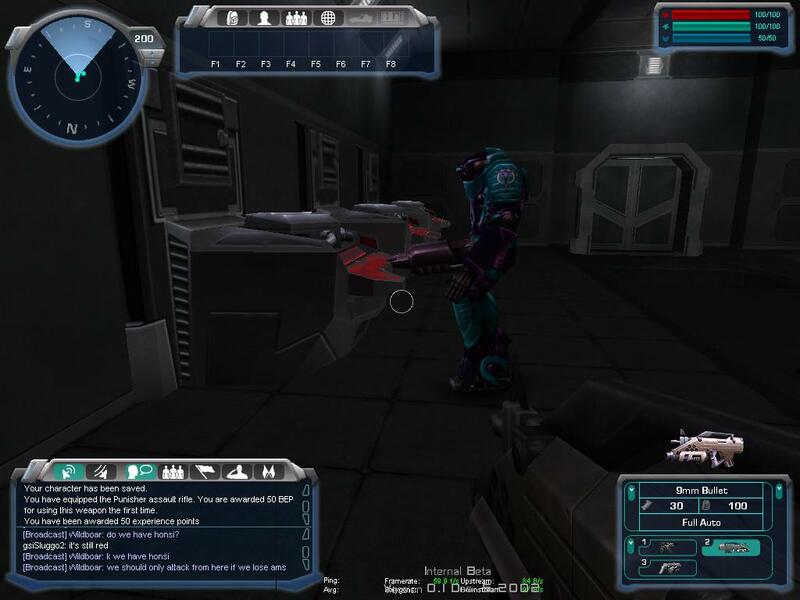 Vanu MAX inside the base. 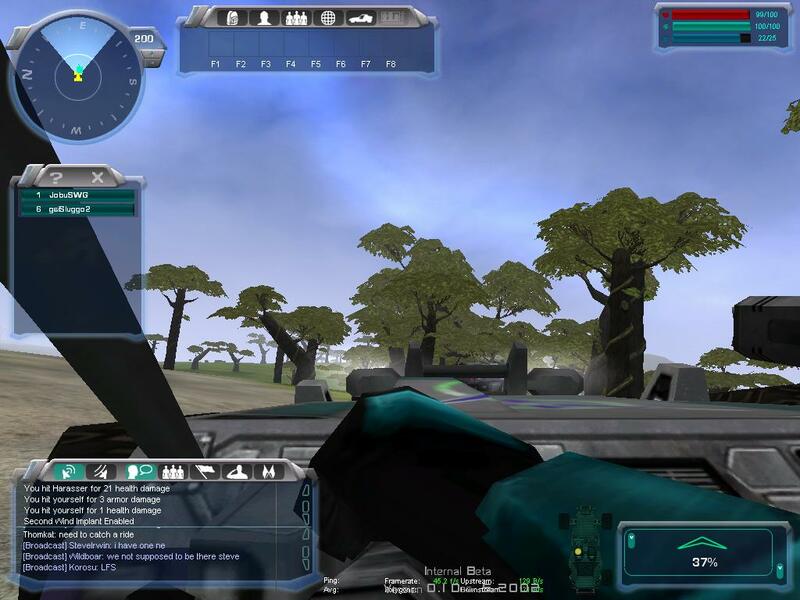 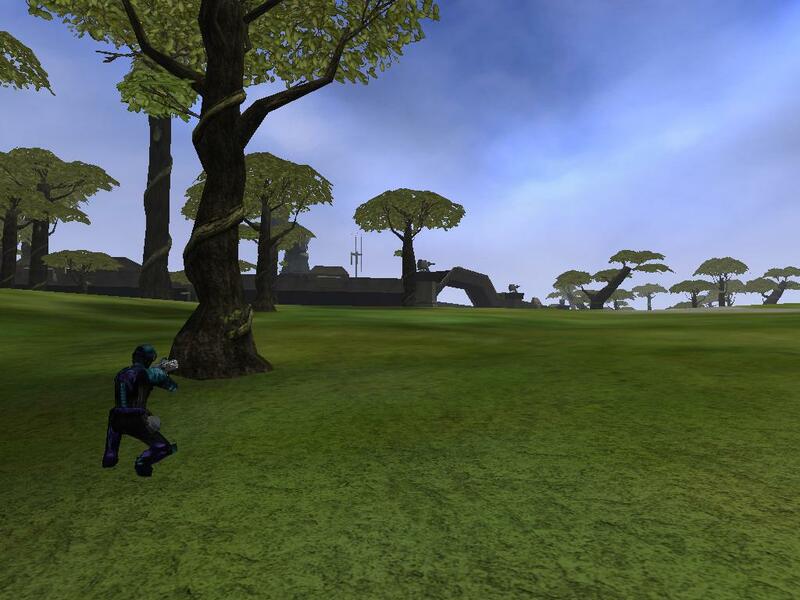 Vanu Soldier crouches behind tree as he approaches a base. 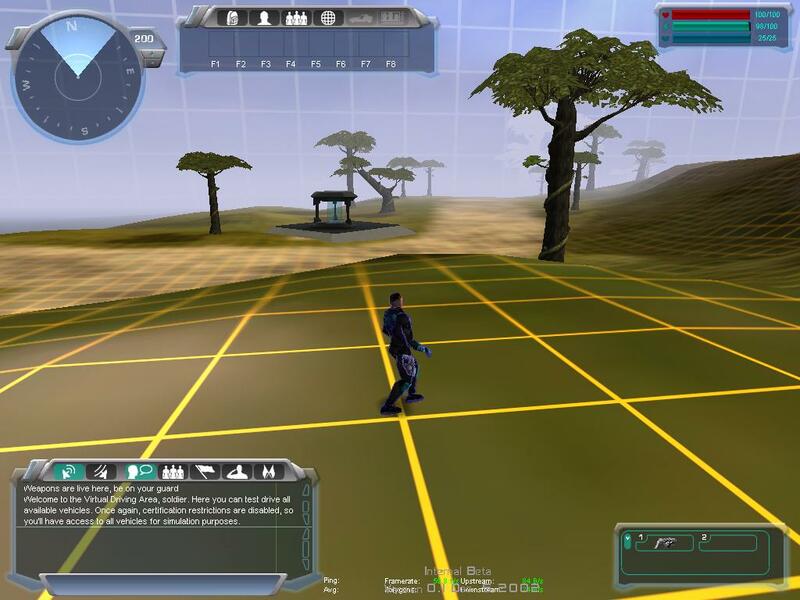 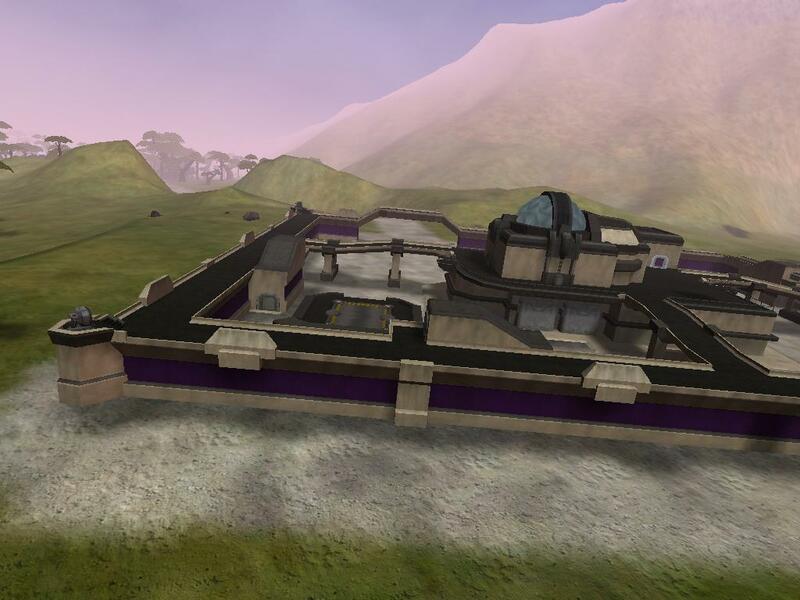 Aireal view of a base. 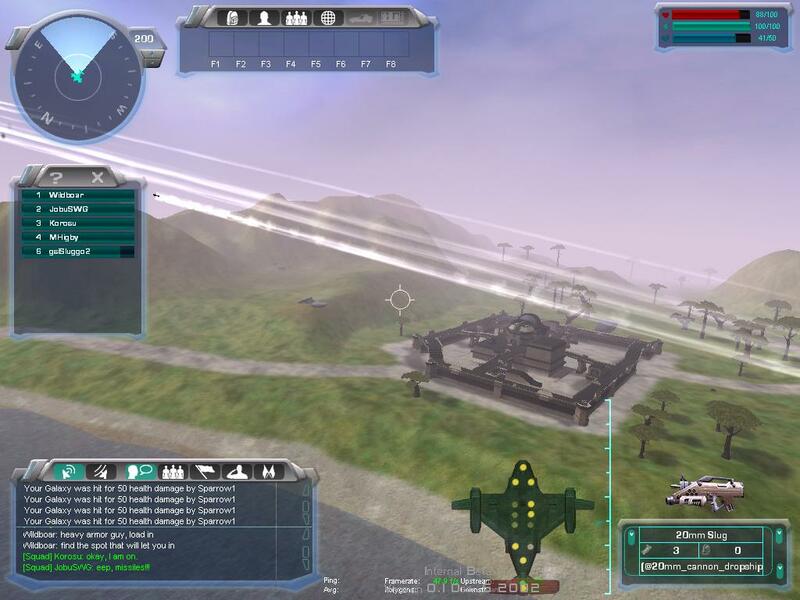 Weapons fire streaks in front of a Galaxy looking down on a base. 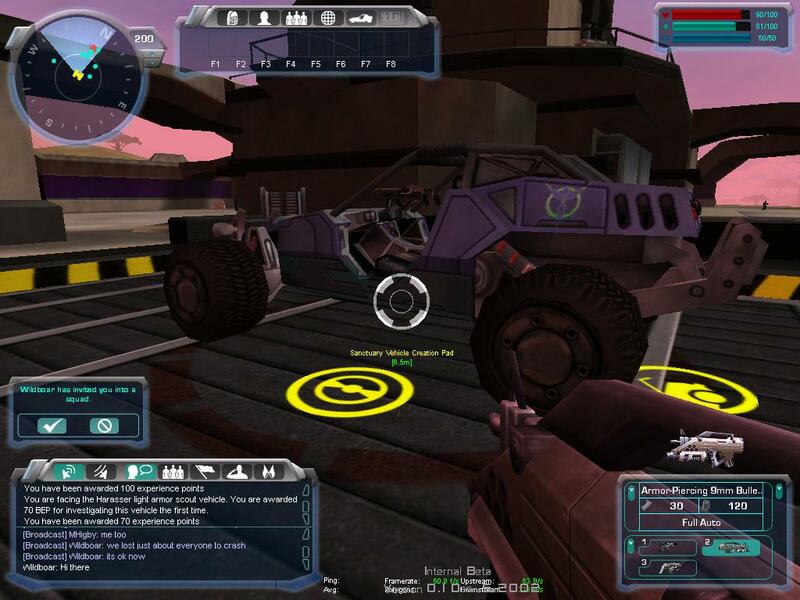 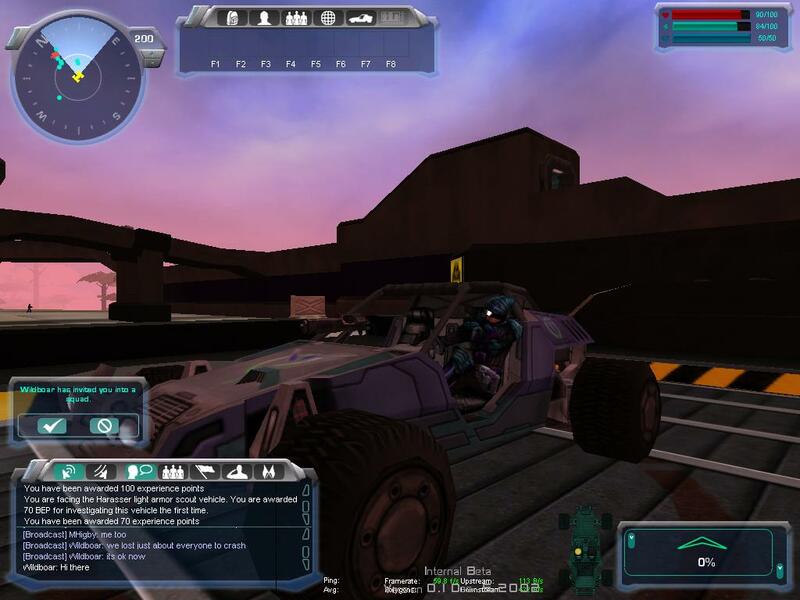 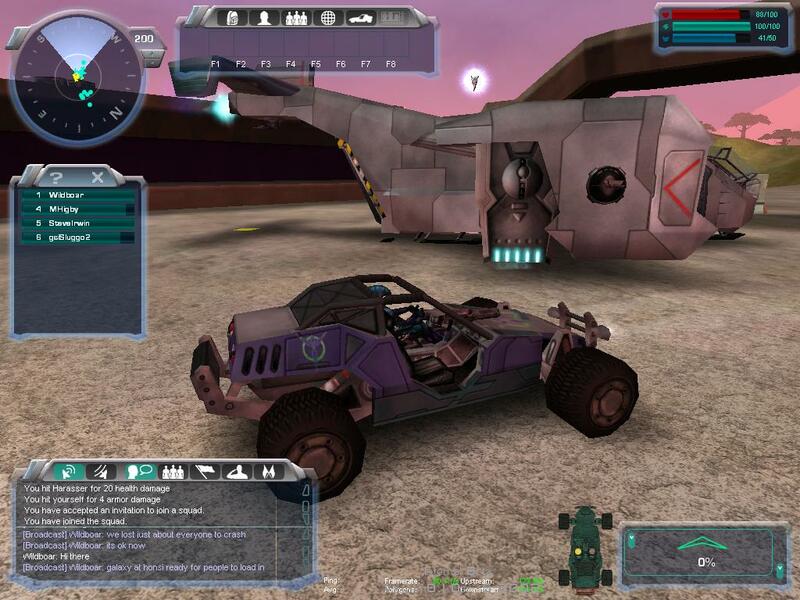 Vanu Harasser on Vehicle Creation Pad as dusk settles in. 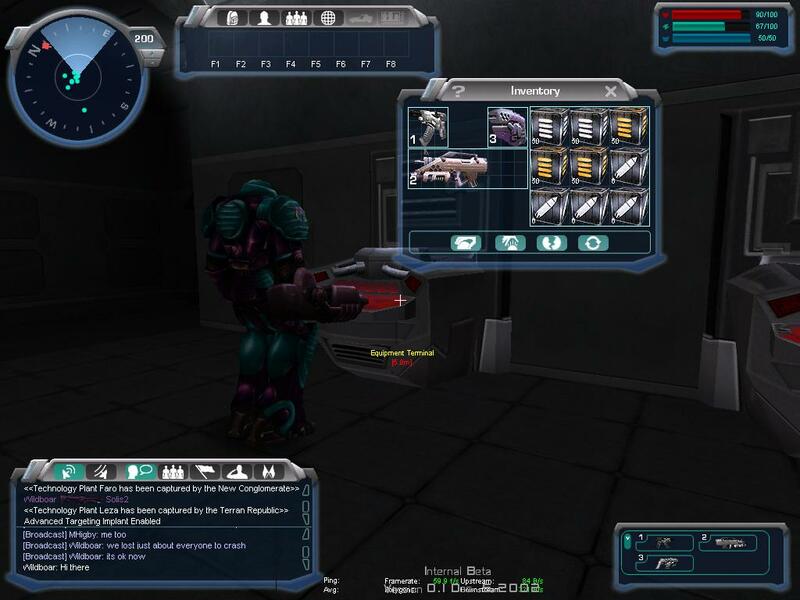 Inventory Hud with Vanu heavy at Equipment Terminal in background. 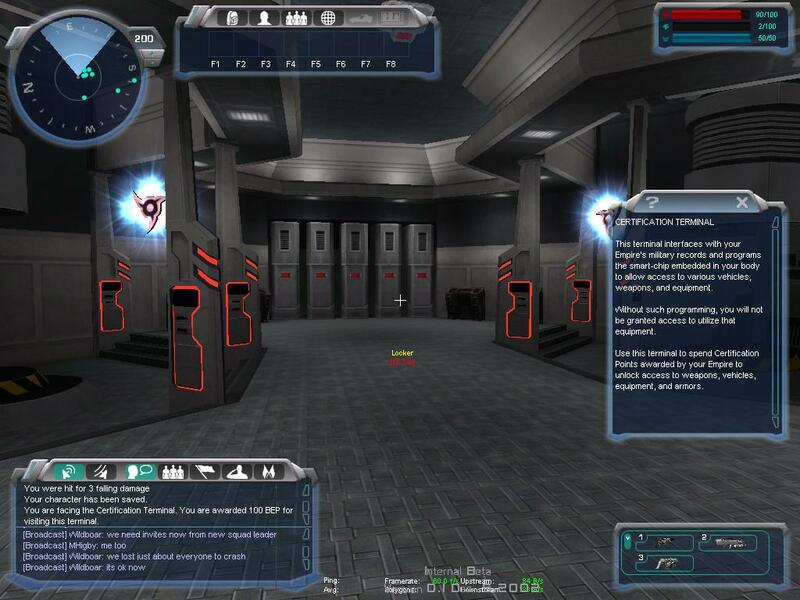 Certification Terminals with lockers in the background. 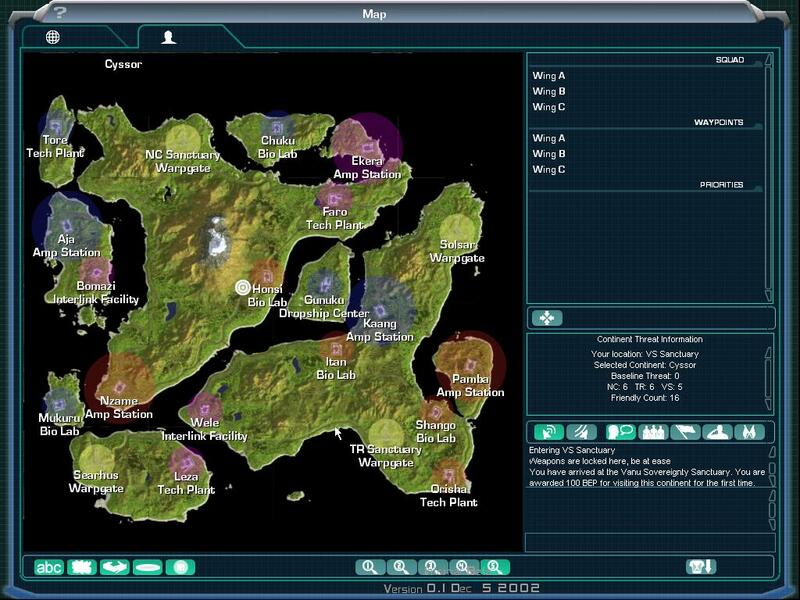 World Map of Auraxis showing all the continents and empire sanctuaries.